On this day in 503 a group of monks got drunk. This news would normally have been about as shocking as hearing that imperial eunuchs were corrupt or taxmen were greedy, but in the year 503 it had grave consequences for the Roman Empire. These particular monks were members of the Amidan monastery of St. John Urtaye, a respected monophysite saint whose current hegemon had left his poor home in Persia and found success in Roman Mesopotamia. These Persian ties were perhaps unfortunate given that his monks were guarding a section of wall against an army of the same people. In 502 the king of kings Kavad, scion of the Sasan dynasty and ruler of Iran and Not-Iran, led the forces of Persia into Roman Armenia. The attack took everyone by surprise as it was now late August (well outside the normal campaigning season) and Roman forces were poorly placed to repel him. On 5 October this army marched down the Tigris to the fortress city of Amida. 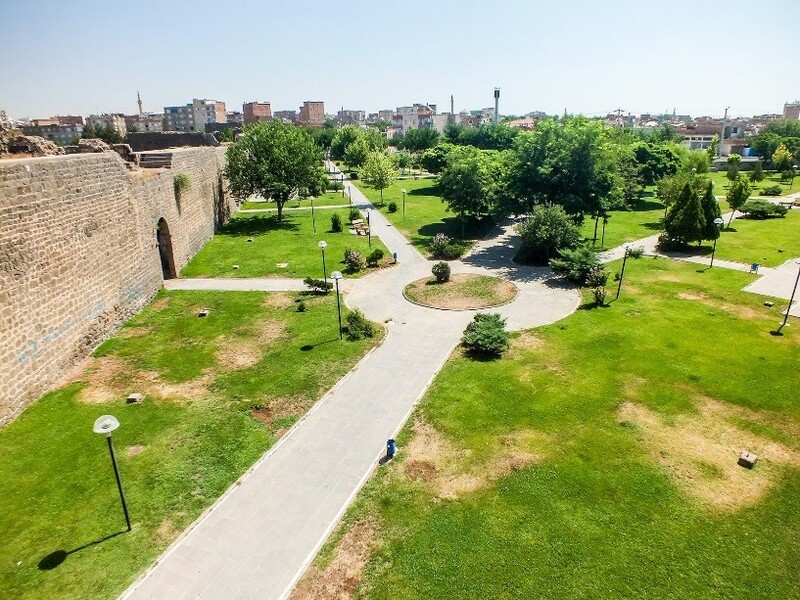 Modern Diyarbakır in south-east Turkey, this city is currently under military occupation by the Turkish army as they seek to suppress the Kurds who view it as their unofficial capital. 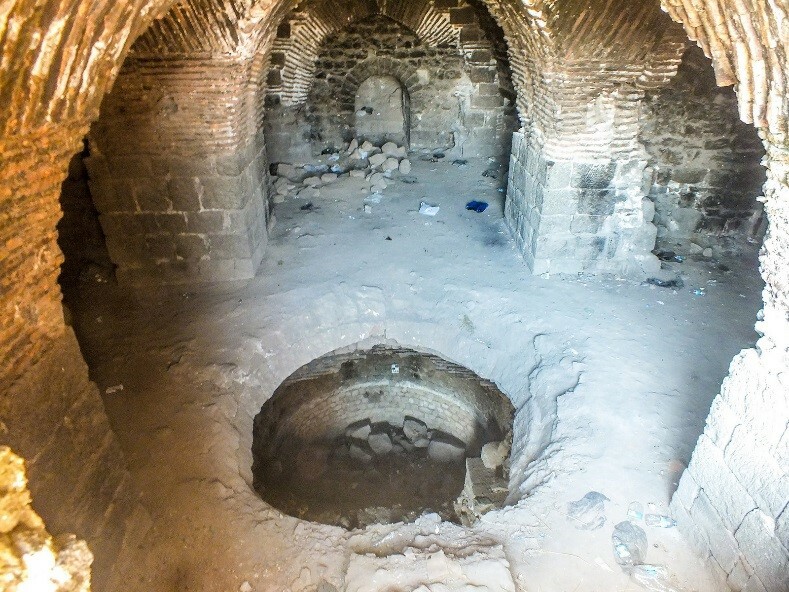 At the time it was the capital of Roman Mesopotamia. Kavad’s invasion marked the end of almost a century of peace on Rome’s eastern front and the beginning of a century of intense conflict that would end only with the loss of the region to both empires. At the time the return of open warfare came as a considerable shock to the region, marked by a surge in local Syriac chronicles and writings. By the time Kavad reached Amida in early October the city had improvised as much of a defence as it could. 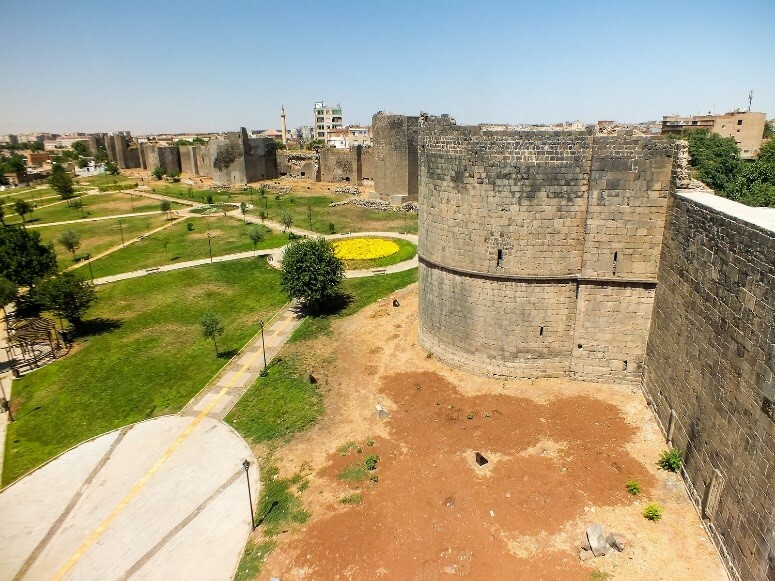 There were no army units stationed there but they were able to form volunteers to man the walls and defend the city. The monks of John Urtaye were one of many such groups. They fled inside the city and were given a group of towers known as the tripyrgion to defend. 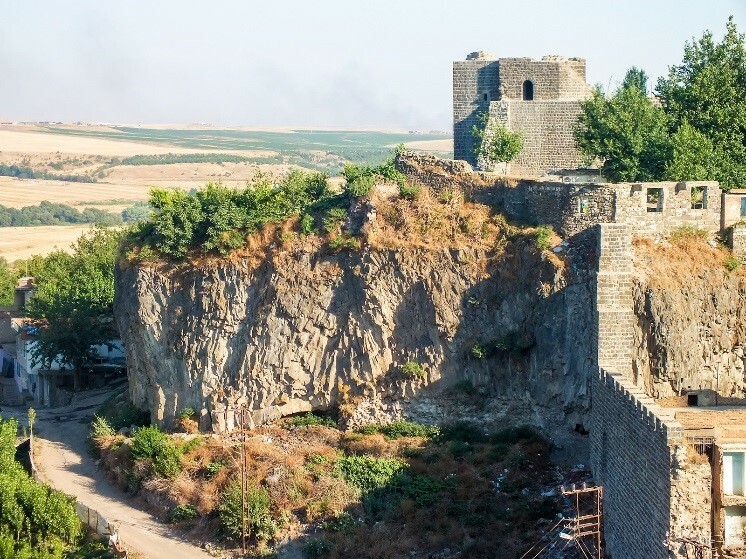 The tripyrgion (three towers) is a strange feature that is mentioned only in accounts of the siege. The city walls that the Romans built are still intact today but we are given little geographical information from our sources. 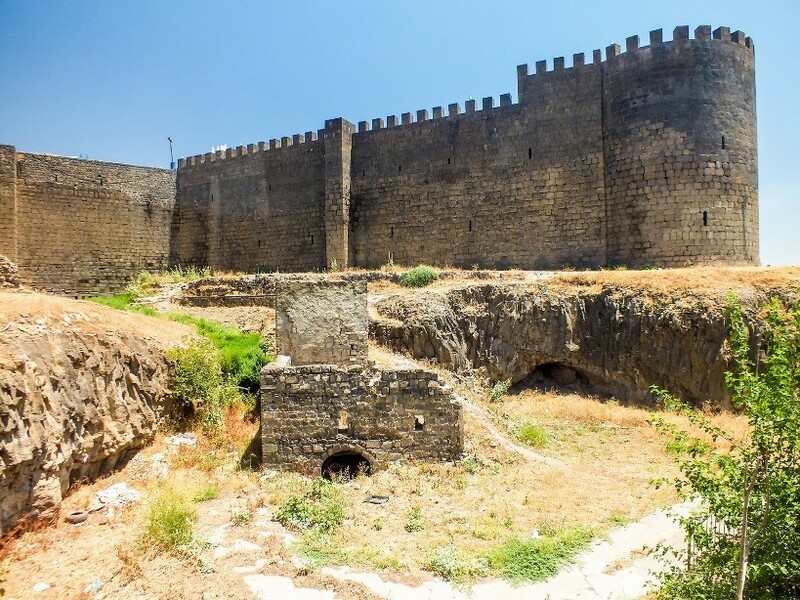 Based solely on the name, the stretch of wall culminating in what is now called the Evil Beden Tower is the most likely location for the tripyrgion. Isolated on a spike jutting out from the western wall it was difficult to see from the other towers yet provided a superb view of the interior defences of the city, as I can attest from personal autopsy in 2015. From this location the monks would have watched as Kavad’s army demolished their monastery and used it to construct his siege engines. The siege was a long and bitter one. For three months in the cold Mesopotamian winter the Persians fought against the wall to no avail. Battering rams were tried about the gates of the city, but the defenders used logs to break the ram heads. A mound was raised above the height of the city walls but the Romans tunnelled underneath it and created a cavern propped up only by wooden supports. When the cream of the Persian army climbed on top to try and storm the city the struts were set on fire and the mound collapsed. Attempts to refill this pit and take the walls by siege towers were defeated by effective use of scorpions, a type of Roman artillery piece. Persian morale plummeted. The Romans grew relieved. They believed that victory was at hand. In an ill-omened example of hubris the women of the city even began mooning the enemy forces, a sign, so it was later said, that just as the Persians had now seen the hidden parts of the inhabitants they would soon see the hidden parts of the city. But if he had such thoughts at the time Kavad kept them well hidden as he negotiated with the governor for a cash payment to get his army to leave. The payment was refused. So confident were the Romans that the council even demanded that Kavad pay them for the destruction he had wrought. Such was the situation on the night of 10 January, 503, when a small Persian force under the marzban Adhurgundadh encountered the monks of John Urtaye. Chasing a smuggler back to the walls his men were surprised to discover that nobody in the monks’ towers fired at them or even seemed to spot them as they drew close. Conferring with Kavad he received permission to test that stretch of wall more seriously. Sneaking a small force of Persian soldiers into the tower through the same tunnel that served the smuggler, the marzban slaughtered the sleeping monks and seized the section of wall. Isolated as it was from the other towers, the Romans took a while to notice the takeover and were slow to respond. By the time the governor came charging in with a force of defenders the tower was already filled with Persians. His torchbearers made him an easy target and he was struck by an arrow and forced to make a hasty retreat. 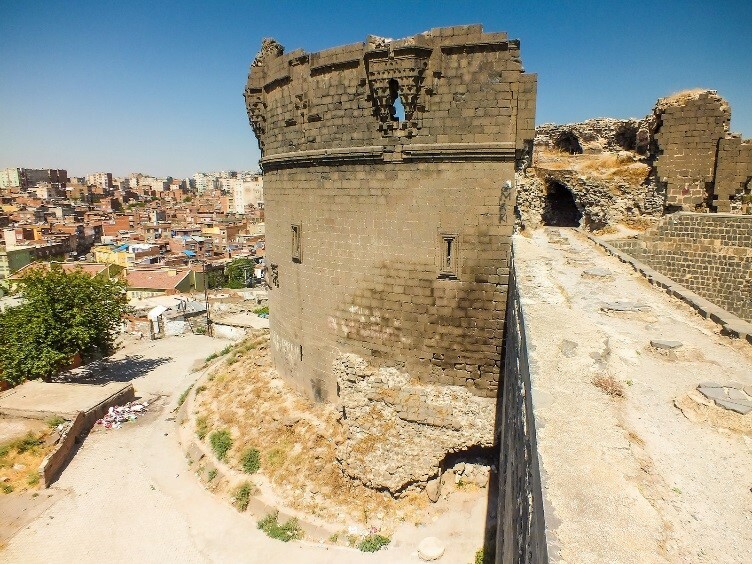 Since the tripyrgion is on a sharp corner of the wall it commands a clear view of the local fortifications and is impossible to sneak up on from the inside. With it in Persian hands (and rapidly filling up with Persian soldiers) the city was doomed. While the Romans managed to contain them for another day and a night, the Persians were eventually able to seize one of the gates and let in the rest of the army. All because some monks celebrated a bit too hard.